Overall, the costs are being driven by the “just one more thing” phenomenon, explained Smith. “Affordable housing is financed with soft capital–either LIHTCs or soft loans–that is given out by government bodies,” he said. “And these government bodies then push the property to be greener, more accessible, more deeply affordable, and more socially responsive. 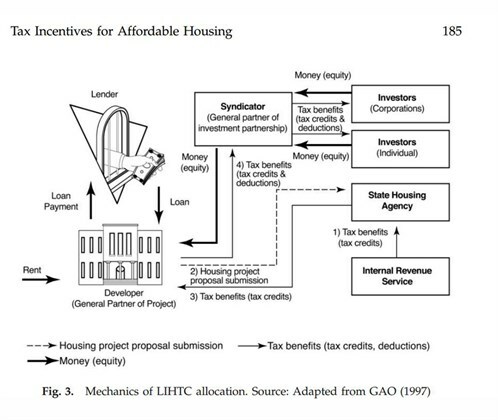 All these are ‘just one more thing.’ These mandates are embedded into qualified allocation plans (QAPs), which in some places, like California, have become so competitive that things intended as optional become mandatory (Affordable Housing Finance Staff, 2012).” In addition to these items, locally, “one more thing” has included hosting specific design charrettes, a community center with specific functions and lower unit density.